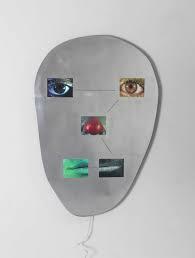 The Lisson Gallery is exhibiting New York artist Tony Ourslers work. This is his first exhibition in over five years in the UK. 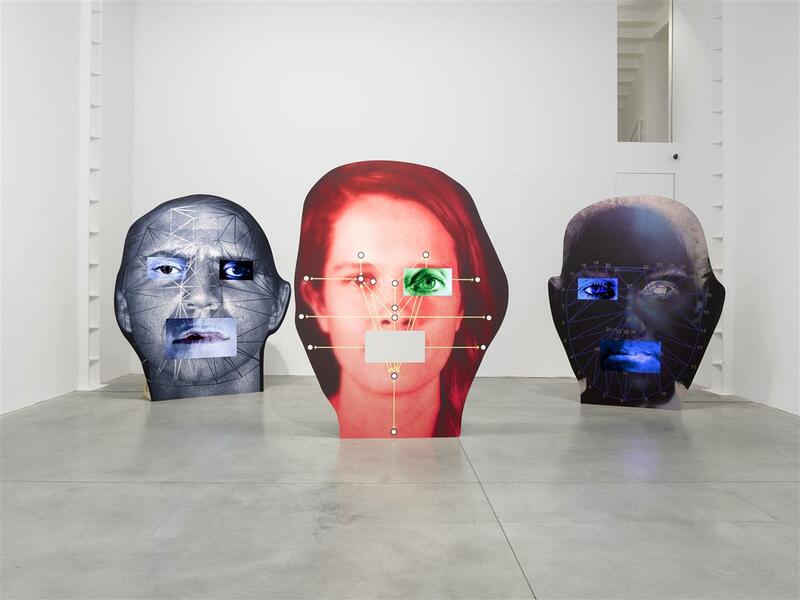 This exhibition is about using technology (algorithms that are used to scan people at airports etc) to portray his sculputres showing his interest and exploration about facial recognition and continues with his theme of humanist artwork. The artworks are large photographic images modified to show the artists interest in communication and identity. Each sculpture has a character and represents the population by showing that we are all supervised in some way by technology. Seven images are in the main gallery and confront you as you walk in. Each of the giant photographs are marked with lines and dots showing the facial recognition systems used by immigration and law agencies around the world. By viewing these photos the artist wants the audience to see themselves in a different light, exactly the way the machines that were created for the purposes of facial recognition see us, therefore people having the same features. 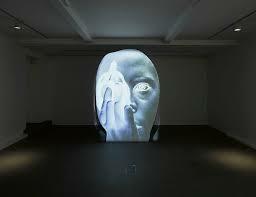 There is also a projection which flips through faces. These faces have make up on which makes the technology feel that facial features are different, therefore the artist now showing that humans are not controlled by these machines. There are also some missing panels from the photographic pieces which the artist wants us to understand that parts of our identities are incomplete. These missing panels also show that facial recognition technology is still quite new and needs improving. Initially I was confused about this exhibition because all you see are photos in different forms and it was hard to understand how and why facial recognition technology could be used in art. As you progress through the gallery you begin to understand the concept the artist is trying to portray and all of a sudden you become immersed in the artwork. You suddenly realize that the face is more than just the features you see and even though facial recognition techniques group us together we are all still individuals. This entry was posted in Digital Culture on February 24, 2015 by saadchaudhryme. Our group finally decided on an idea for our short film. The locations we chose were Waterloo, Tooting and Collier Wood train stations. We discussed how we were going to film such as different types of camera angles,what roles everyone was going to play in the film and when we were going to film. We made good progress and the teamwork was very positive. Here is the outline for the script of our film project. Drops bag on the floor, retrieves all items, but leaves behind wallet. Saad walks behind me, notices wallet on the floor and picks it up. Examines wallet and identity card. Ki arrives at her house. DK appears from Right side, Saad appears from the Left side. Saad explains DK, befor they can hang out they need to return this wallet. Saad pulls up the contact card, DK calls the number and speaks to Ki. Ki, DK, Saad meet at Colliers wood station. Scene 3. Medium shot, Ki putting tea down and preparing to leave. Scene 4. Close up of wallet and ki walking off with bag, Saad retrieves wallet. Scene 5. Medium shot of DK and Saad going into the underground. Scene 4. Split screen of walking off in separate directions. This entry was posted in Video Production on February 24, 2015 by saadchaudhryme. I am looking forward to the Video Production project and am happy with the group chosen for me.I believe we will make a good team and will create an interesting and exciting video. We have been working together and chose some ideas for filming. We all gave ideas and eventually came to a conclusion of a seed of an idea that we were all quite happy with. I know we will be having further discussions to finalise the idea but the creative juices are flowing with all of us and we have got the outline of a script that we will hopefully develop as the weeks go on. This entry was posted in Video Production on February 23, 2015 by saadchaudhryme. In Visual Studies we are drawing figures but I am not a fan of drawing and not very good at it. I know I have to work hard to improve my drawing skills and will practise in my spare time. During the lesson we had to draw figures against the clock but it was tricky. This will definitely improve my visual and drawing skills and hopefully I will be able to use these skills on the digital platform as well. This entry was posted in Visual Studies on February 23, 2015 by saadchaudhryme. 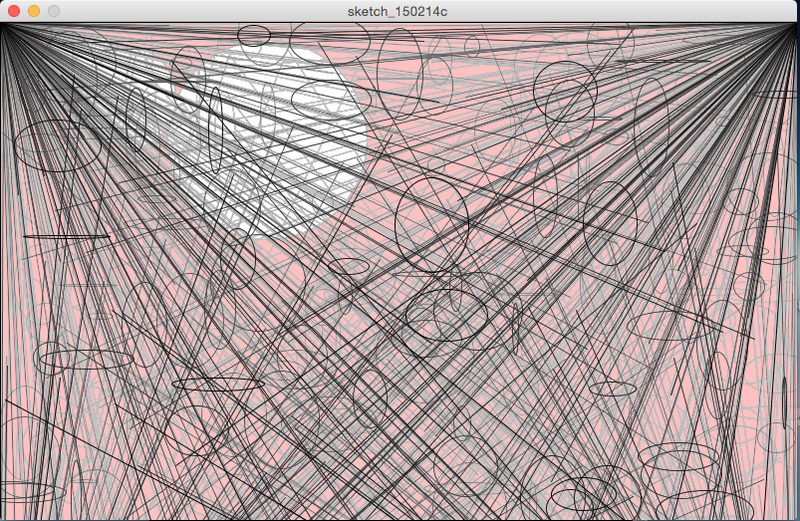 I used the processing software to experiment with drawing. It was interesting and something new. 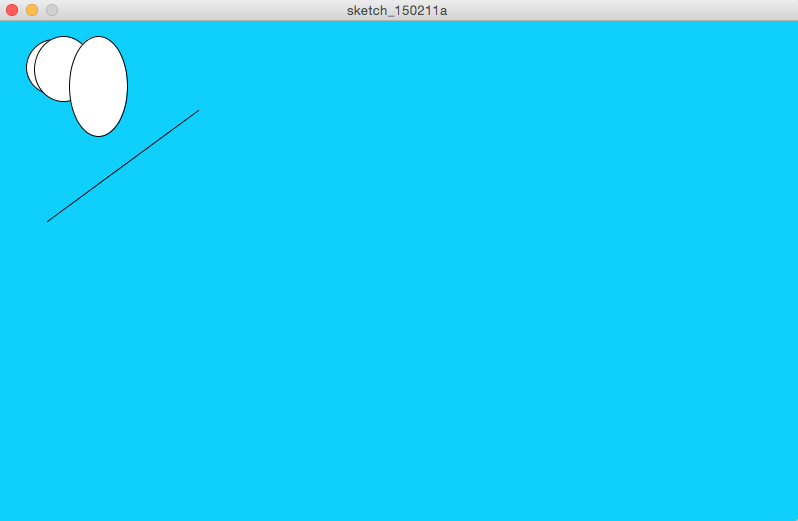 You can draw by a click of the mouse. 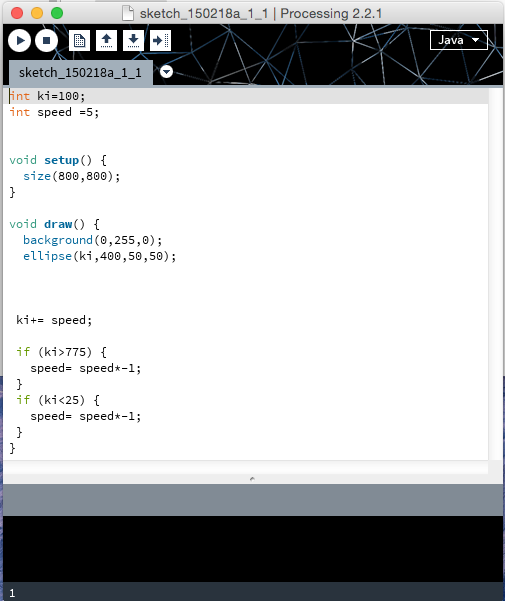 I looked at the book called “Getting Started with Processing by Casey Reas & Ben Fry. 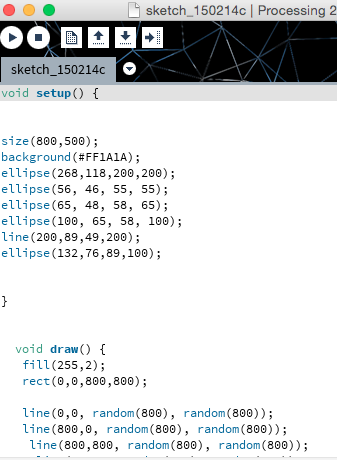 It helped to me understand how to use Processing but it will still need to practice a great deal. 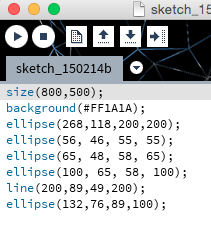 This is the code in processing to create the white circle. 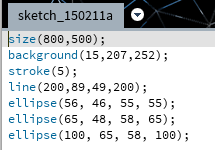 This shows the circles animated. 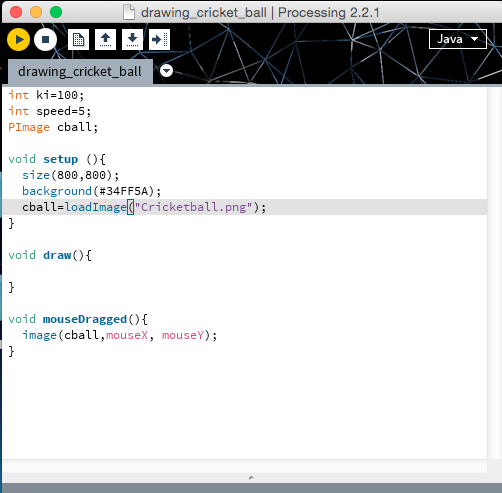 This is the code in processing to create a cricket ball. 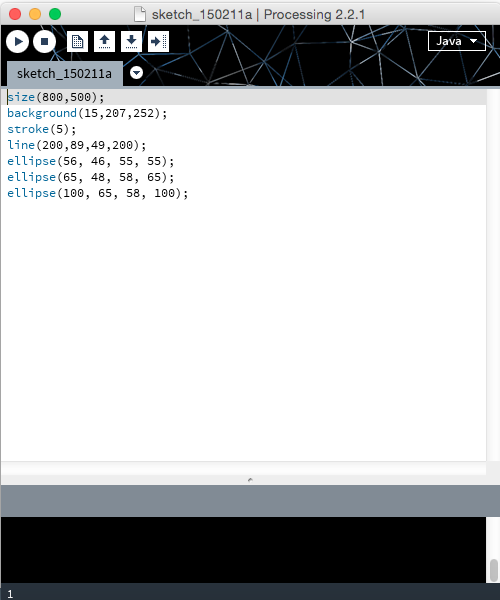 I dragged the image into processing and showed how the image moved around. The cricket ball looks like it is being bowled by a fast bowler. This entry was posted in Multimedia Scripting and Authoring on February 23, 2015 by saadchaudhryme. 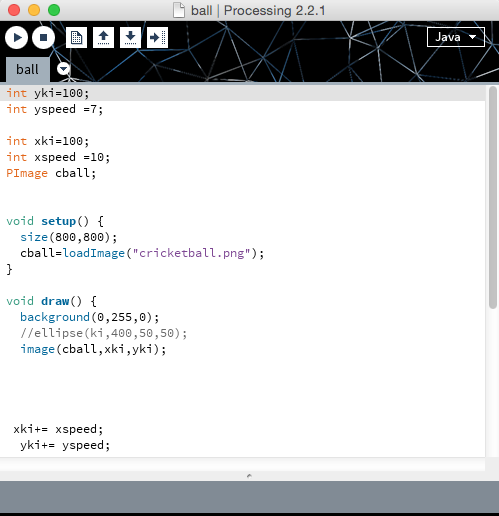 We carried on learning processing software and we learnt how to add images into this processing and animate them around. 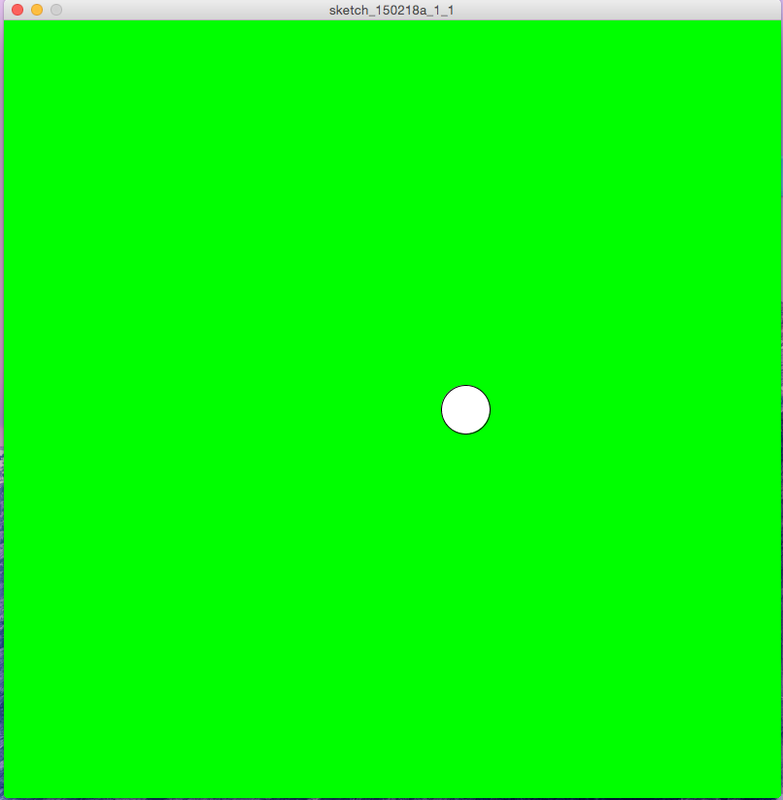 This is my first animation processing with the circle moving right and left. 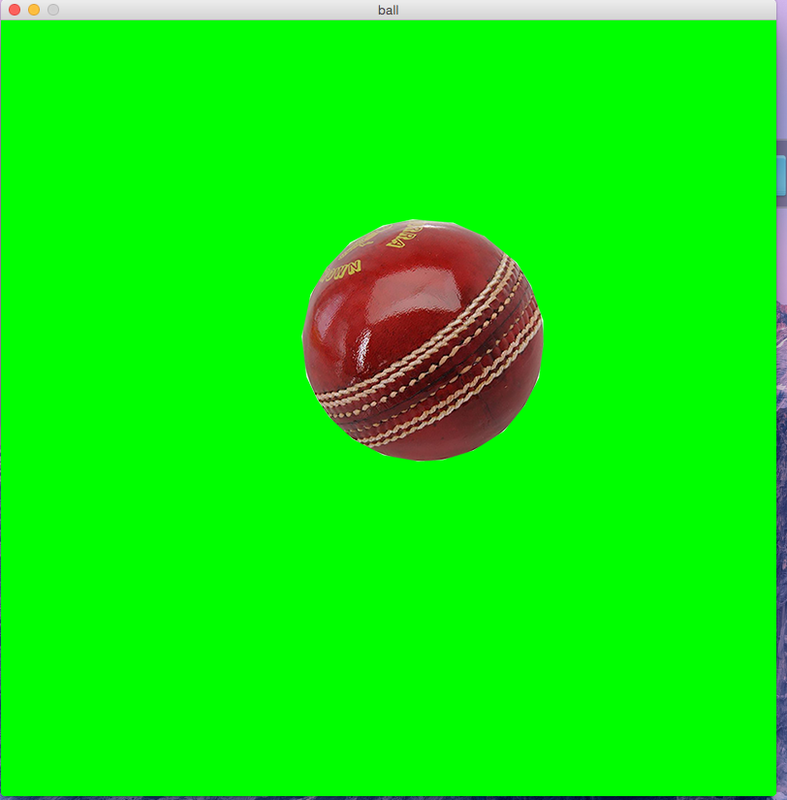 This is an image of cricket ball animate with the cricket ball bouncing everywhere. It’s still hard to understand the processing software but will keep practising and experimenting till I understand. 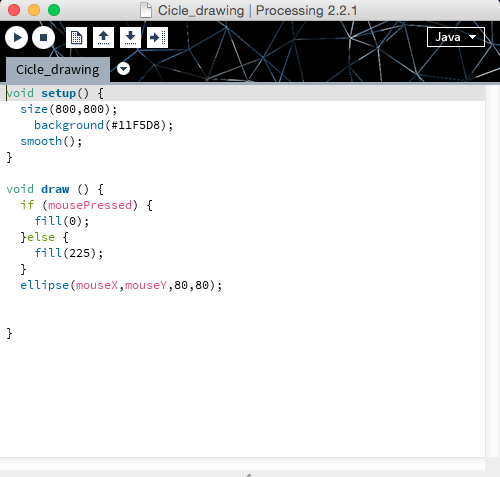 We learnt about a new software called Processing which is similar to drawing, sketching and painting on paper. This is like digital drawing and graphics. 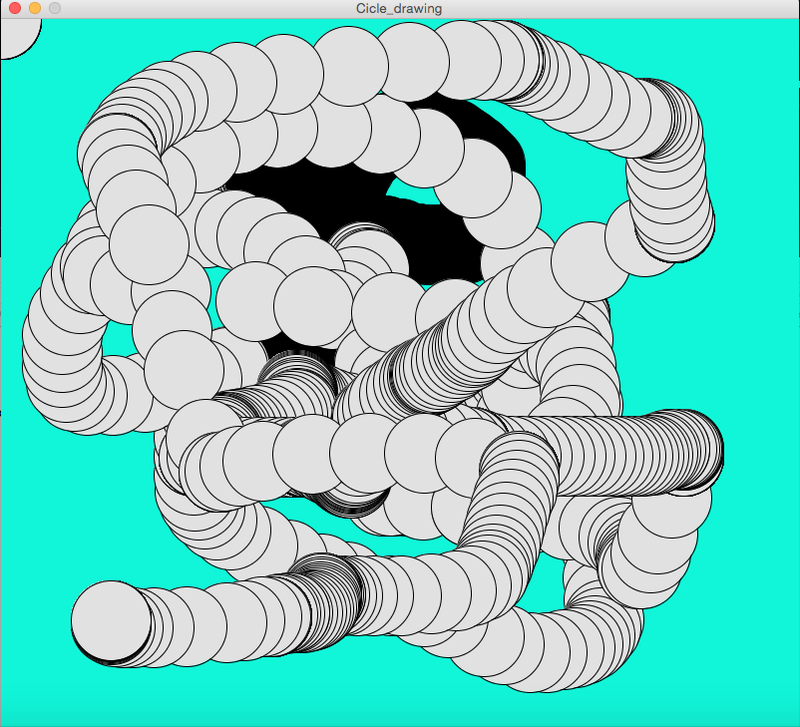 When I first used the processing software I had no idea what to do and was very confused about it. 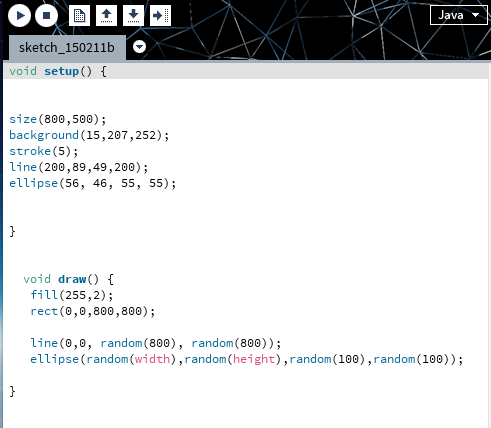 This code is bit like html that I have used before. This is not a bad start and I know it will take time to understand. 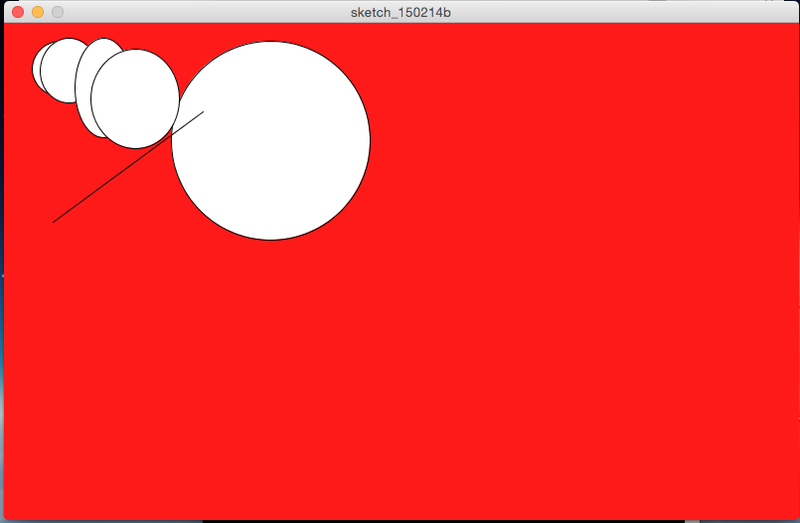 This is the second time that I used processing and this is animation sketching with line and circle. 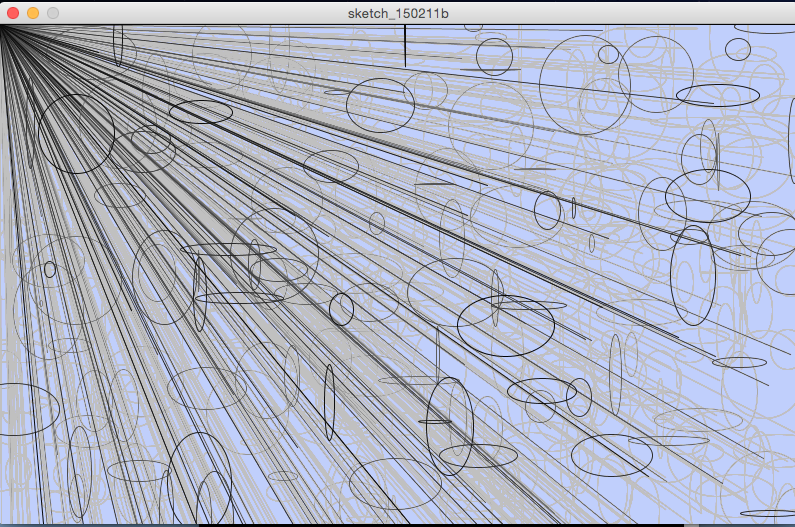 When I look at the possibilities of processing I am excited to see what I can do with the software. The more I am practising and experimenting I feel I will become more and more confident using this software for new projects.